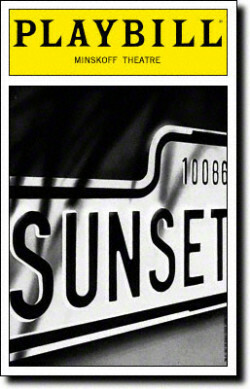 Back in 1994, the Missus and I trundled down to New York to catch the final performance of Glenn Close in the Broadway production of Sunset Boulevard. As we settled into our seats, this announcement came over the PA system: The role of Norma Desmond tonight will be performed by . . . [audible gasps and cries of protest by audience] . . . Glenn Close. Here’s a taste of Close’s performance 22 years ago. 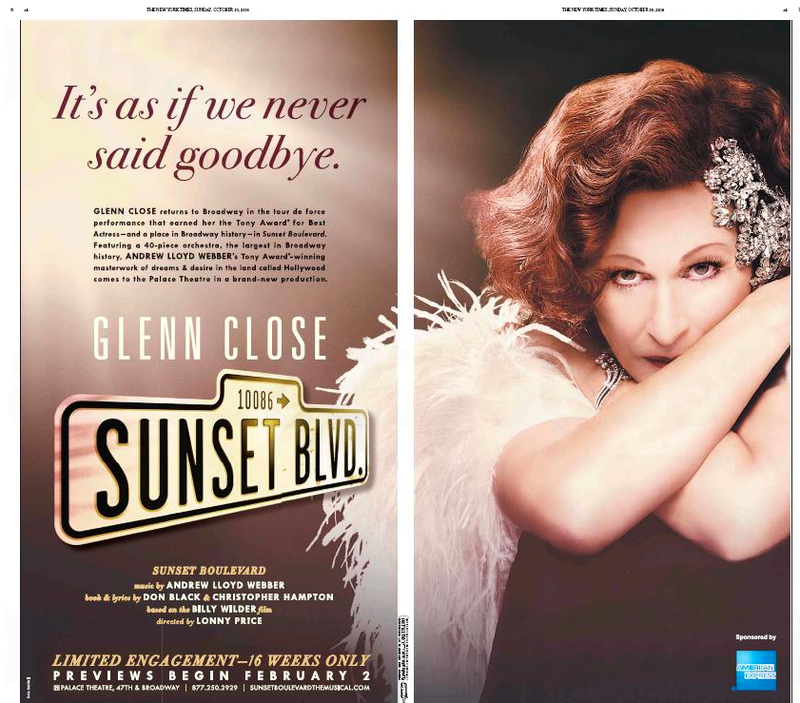 Okay – either Glenn Close has had a head transplant, or that image has been seriously photoshopped. Here at the Global Worldwide Headquarters, we totally get the concept of putting your best face forward (especially in these, our declining years). But seriously, that ad isn’t even Close. 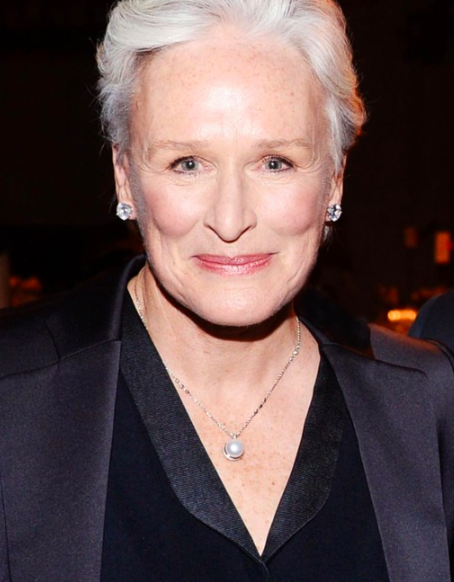 This entry was posted in Uncategorized and tagged Glenn Close, New York Times, Sunset Boulevard, The Missus. Bookmark the permalink.